Pentax produce a wide range of terrestrial spotting scopes that is ideal for ideal for bird watching, hunting, astronomy and general outdoor applications. It features rubber armoured body for extra protection, comfortable grip and long life. Most of Pentax Spotting Scopes have Super multi-coated optical window that ensure the highest levels of light transmission, contrast, colour fidelity, and sharpness. It had a high quality prism with Extra Low Dispersion (ED) objective lens that provides excellent colour correction and razor sharp images while virtually eliminating chromatic aberration. Pentax Spotting Scope has a waterproof housing that perform well in a wide range of conditions. 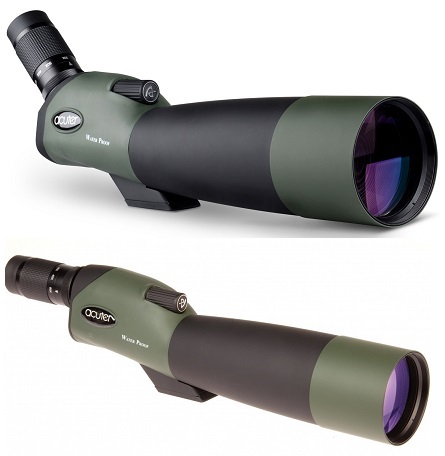 Microglobe offers range of Pentax Spotting Scopes such as Pentax PF-65ED Spotting Scope and Pentax PF-80ED Spotting Scope. Microglobe had all of the above Pentax Spotting Scopes at affordable price. Microglobe is one of the largest online store of the UK.